halloween is right around the corner, and folks around our area take holiday decorating very seriously. ryan and i typically decorate for fall and for christmas, but we usually don't take the time to decorate for every other little holiday. 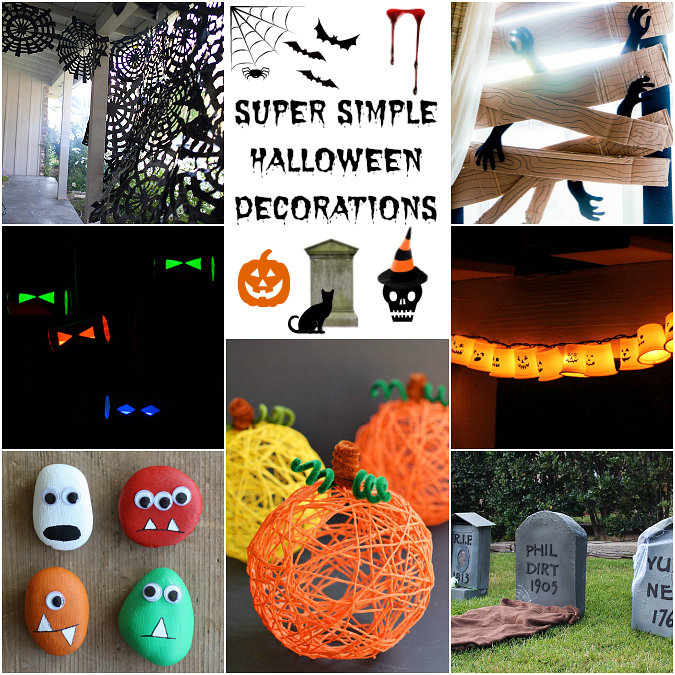 if you're like us and you're short on time, here are a few super simple halloween decorating ideas that you can whip up in no time using things you probably already have around your house . . . I really think those spider webs. They really decorate a porch nicely.